The medieval Castle Athenry is beautifully situated in the town of the same name, which is part of the Galway County. The castle and town Athenry is located 25 kilometers east of the town Galway. 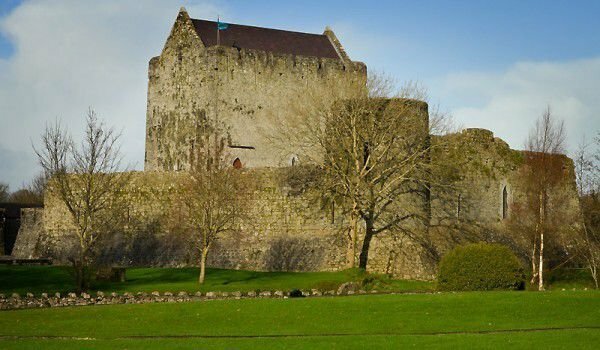 Athenry is considered one of the best preserved medieval towns that is surrounded by a firewall. The main part of the palace is situated in the historic center of town Athenry. The medieval castle was built in the 13th century during the Anglo-Norman colonization. Today, what has remained of the whole complex of Athenry is the protective city wall that was built in 1211. The fortification of the castle, built in 1235 can still be seen, and the Dominican brotherhood, which was destroyed by King Henry VIII. It is believed that prior to the appearance of the medieval Athenry, in its place in the 7th – 8th century was another fortification. Nearby the River Clareen passes. Castle Athenry emerged in 1235 when Meiler de Birmingham ordered the construction of a fortress surrounded by massive defensive walls and a watchtower at each corner. The general appearance of the castle is generally reminiscent of the cold and darkness.The second floor is lacking any windows, but not all have fireplaces to bring warmth and light in the halls. The owner of Athenry - Meiler de Birmingham had decided to leave his own palace in the 15th century and shifted in his family house in town, which today is the market's central square. For the past five centuries the castle was abandoned. The state of the once impressive palatial building was disastrous and even had no roof. In 1990, however, the branch of the Office for National Urban Development, dealing with historical monuments in the territory of Ireland began work on a strict restoration of the structure of the palace. After this overhaul Athenry is open for public visits at all times of the year.